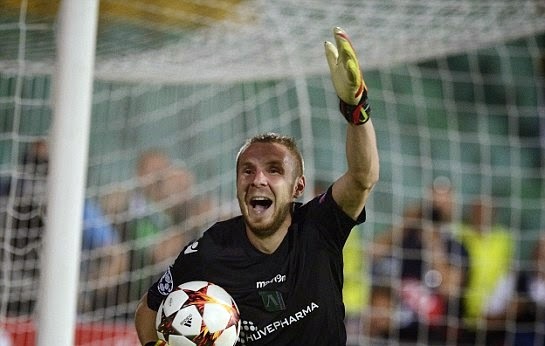 An incredible sight in yesterday's 2nd leg UEFA Champions League match-up between Bulgarian side PFC Ludogorets Razgrad and Romanian outfit Steaua Bucuresti, as Razgrad's defender Cosmin Moti was forced to go in net after his teammate and goalkeeper was shown a red card just a minute before the match was to be decided in the penalty shootouts. But the story went from odd to great, as Moti managed to save a crucial penalty-kick from the opposition and send his club to their first ever appearance in the group stages of the Champions League in an unforgettable fashion. 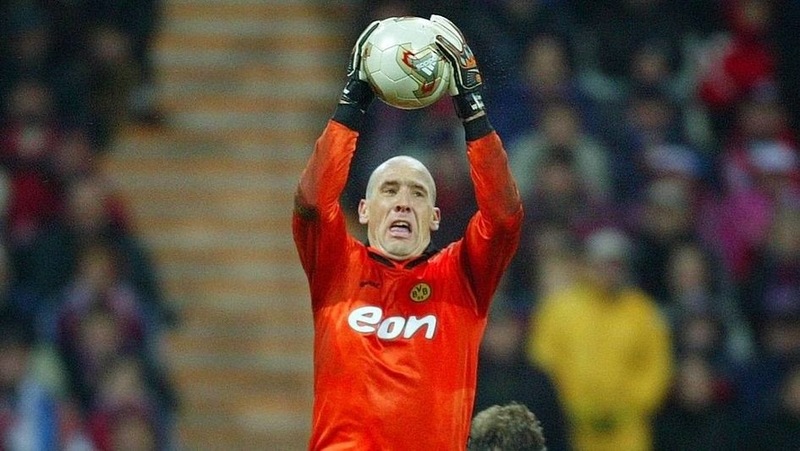 This was not the first time however an outfield player had to "fill-in" in goal, and so we take a look at a few other instances when defenders, midfielders and strikers put on gloves and stood in net. After scoring and providing City with the lead over Derby County, Quinn put on the goalkeeper gloves after City's keeper was sent-off. Incredibly, Quinn managed to save a penalty-kick, helping his team to an eventual 2-1 victory. After a broken nose sustained by United goalkeeper Van der Sar and no subs remaining, O'Shea stepped in goal. The defender did so well, United manager Sir Alex Ferguson later branded him "The Cat". In a Brazilian league match in 1988 between Palmeiras and Flamengo, center-forward Gaúcho stepped in goal (without gloves) and managed to save not one, but two penalty-kicks to hand his squad a victory over Zico's Flamengo. Beardsley's goalkeeping venture was not as successful as the previous names on this list. After already being down 5-1 to West Ham United and losing two goalkeepers to injuries in the process (one of which was already an outfield player), Beardsley went in goal to concede three more goals for a final 8-1 rout to the Hammers. 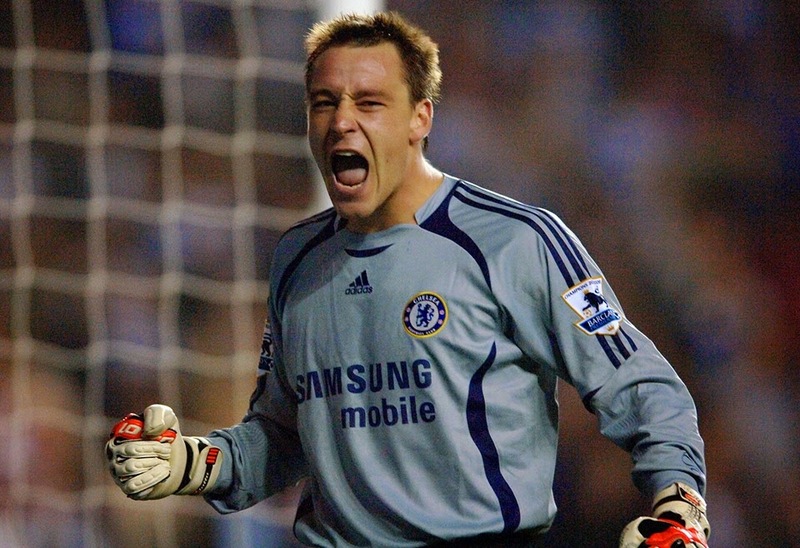 After both Petr Cech and backup keeper Carlo Cudicini sustained injuries, Chelsea captain Terry went in goal. Although he saw little pressure from Reading, the captain helped his side to a 1-0 win. During a league match with Elazigispor, Galatasaray's keeper Fernando Muslera was sent off with the Istanbul club having no substitutes left. Melo turned hero as he saved a stoppage-time penalty-kick from the opposition to provide his club with the narrow 1-0 victory. The Czech 6'7" striker had one of the best goalkeeping showings possible when he had to replace Jens Lehmann with 20 minutes left in a match against league rivals Bayern Munich. Koller helped his team to a 2-1 victory and was later named to the best 11 of the week (in goal) by Kicker magazine in Germany.